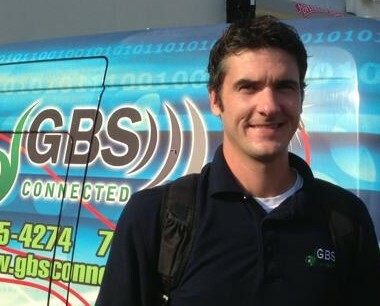 GBS Connected, Virginia Beach, VA – announced the promotion of Robert “Bobby” Golden to General Manager today. Bobby has been with The GBS Group and GBS Connected for nearly ten years. He has served as Smart Home design and implementation lead for the past five years. In his role as General Manager, Bobby is responsible for sales, engineering, installations, personnel, and customer relations. Bobby reports to Steven Tibbetts, Chief Operating Officer of The GBS Group. Bobby brings over ten years experience in information technology and home automation experience to his new position. “Every customer we have has experienced the passion and commitment he brings to every job. Home Automation is a very demanding business, especially in the high-end residential and smart office environments GBS Connected serves,” Golden added. Bobby lives in Virginia Beach with his lovely wife Courtney, yellow lab “Griff”, and glorious new baby girl, Teagan Nicole Golden. Bobby may be reached directly at 757-449-5474, or by email at info@gbsconnected.com. GBS Connected is a division of The GBS Group, an employee-owned systems engineering, technology integration, and reliability engineering services company. GBS Connected provides custom solutions that streamline, secure, modernize, and simplify the lifestyles of our customers. Solutions include home automation, whole home audio systems, audio/video solutions, including surround sound, tablet-controlled homes and yachts, streaming media, mobile internet, and much more. The company is headquartered in Virginia Beach, VA, with offices in Washington, DC and Philadelphia, PA.
For more information on GBS Connected or The GBS Group please contact us at 757.965.4274 or info@gbsconnected.com or visit us at 397 Little Neck Rd, Virginia Beach, Virginia.